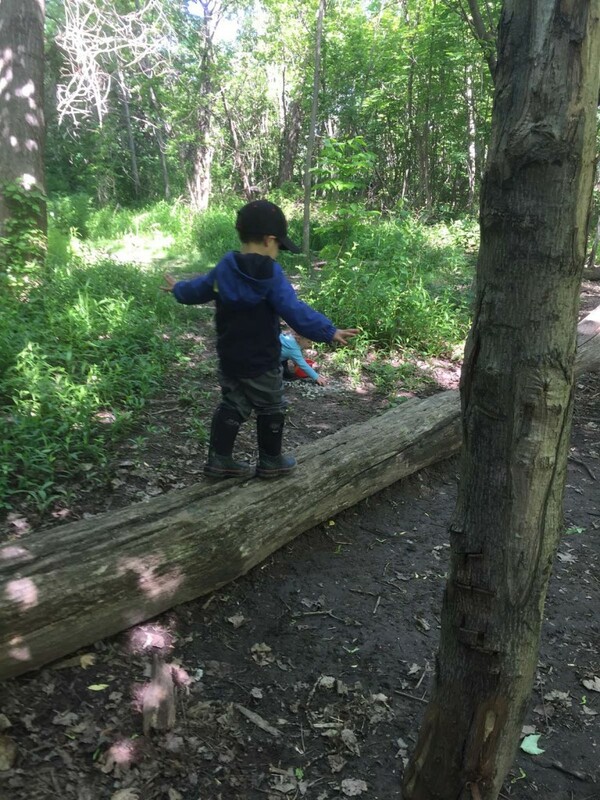 For our outdoor Forest School, we access space from community buildings including Assumption Catholic School, Port Weller School, Port Weller Community Centre and the Lions Club. We visit local parks and natural areas. We have no permanent home in St. Catharines but this does not stop us from delivering great programs! We visit Malcolmson Eco Park, Sunset Beach, Walkers Creek and the George-Nicholson Memorial Trail (day hikes), all accessible from the locations mentioned above. Any materials or tools we need we bring along with us. We are so grateful that there are so many community spaces that are welcoming and accommodating to us, allowing Nature School to continue year round!